What is a nominated account? Does the nominated account have to be solely in my name or can it be a joint account? What is the benefit of having a nominated account? Do I have to have a nominated account? What is an elected account? I set up an account for monthly/annual interest. Is this my nominated account? Can I change my nominated account? How do I set up a nominated account? Can I have multiple nominated accounts? We have a joint account, can each of us have our own nominated account? How soon will I receive my money if I request a withdrawal? A nominated account is a third party UK Bank/Building Society current account in your name that has been registered and verified by us as a destination for withdrawals. Does the nominated account have to be solely in my name or can it be a joint account? Your nominated account can be an individual or a joint account. Any current account that you are named on can be used as a nominated account. What is the benefit of having a nominated account? Payments to a nominated account can be processed quicker in some circumstances as shown on our Withdrawals information page. Do I have to have a nominated account? This depends on the type of account you have with us. Online and some postal accounts require you to only make withdrawals to a nominated account. Please check your products Terms and Conditions for clarification. What is an elected account? An elected account is any current account held in your name other than your nominated account that you use as a destination for withdrawals. You may only use an elected account as a destination if the Terms and Conditions of the product you have allow it. I set up an account for monthly/annual interest. Is this my nominated account? No. This is classed as an elected account, though it may be that you have decided to use the same elected account for interest as the nominated account you use as a destination for withdrawals. Yes. You must write to us, call our Head Office or notify us of the change by sending us a secure message using our Online Services. Please note: If you opt to change your nominated bank account it will take one (1) working day to validate your new nominated bank account electronically and for the update to take effect. However, if electronic validation is not possible, we may ask you to send us an original Bank/Building Society account statement no more than three (3) months old showing the account details. Until such time the update takes effect withdrawals made from your account(s) will still be credited to your existing nominated bank account. How do I set up a nominated account? 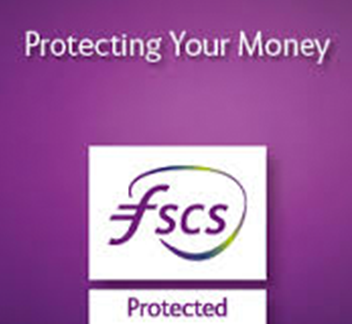 You must provide details of a valid UK Bank/Building Society current account for your nominated account. We will electronically verify that this account is held in your name (or in the name of the first applicant in the case of a new joint account application) and you may be requested to provide additional evidence (e.g. an account statement) if we are unable to verify this information electronically. Can I have multiple nominated accounts? No. Each customer may only have one nominated bank account. This will be used for withdrawals on all accounts held with us. We have a joint account, can each of us have our own nominated account? Yes. When opening a joint account the first applicant must be named on the nominated bank account for identity verification purposes. Once set up, further applicants in respect of a joint account may also have a nominated bank account associated with the joint account. How soon will I receive my money if I request a withdrawal? This depends on the value, day and time you submit your withdrawal request. Please refer to the payments timeline.